MiniWarGaming has some free DVDs they're giving away over on their website. Hurry up, though, there's only a few left. Also, there's a video that auto-plays when you load the page. You've been warned. 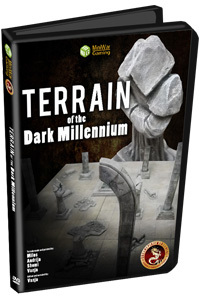 Hello all, in collaboration with Miniwargaming we just released our very first DVD terrain tutorial on how to design, texture, detail and paint gaming surface and fill it with awesome looking terrains! The DVD also features water effects tutorial and Tomb World gaming surface tutorial. And the best thing of all is that it's FREE for grabs while the stocks last. 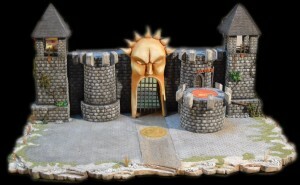 DreamSpirit Wargaming has now started taking orders for their new line of fantasy terrain pieces. If you liked their battle boards, I'm sure you'll like the terrain they have to offer. Hello all, we just updated our Mass Battle section on our website with some new fantasy terrain models for your gaming pleasure. Feel free to check them out! Dreamspirit Wargaming makes your army look the best with their new display boards that are now available. Hello all, we are proud to announce that we added couple of new display boards to our offer! All made for each client individually, we are constantly working to improve our work and bring you the perfect match for your army. 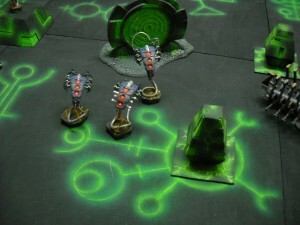 DreamSpirit Wargames has another of their gaming boards available with the arrival of their new Quantum Harvester board. DreamSpirit Wargaming Studio has updated their selections available over in their webshop. 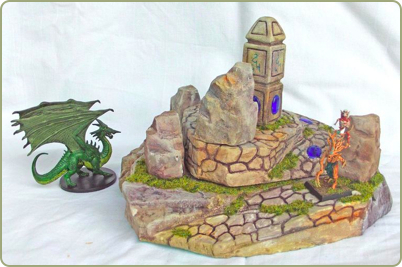 Hello all, we just released some of our terrain pieces in the sale section of our website, feel free to check them out. DreamSpirit has a new display board available. This one's more for your wood elf or perhaps Circle players out there. 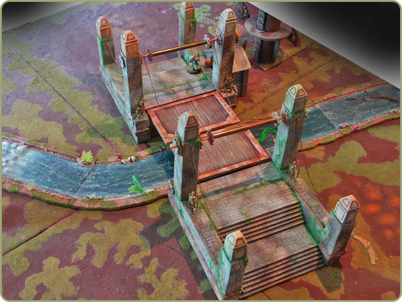 Hello, we just released new display board for the Hordes army, CIrcle Orboros. It is made according to our client's wishes, and if you need display to match your army, feel free to let us know! DreamSpirit Wargames gives your Grey Knights some solid footing with their new Grey Knight Display Board, now available. Hello all, we just released new custom built display board for Grey Knights. Compact and atmospheric, this display will make people stand in awe when looking at your army! 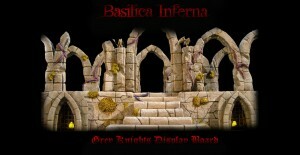 Dreamspirit Wargaming has some new Dark Elf terrain available over on their website. DreamSpirit Wargaming Studio is here to make sure your army looks good even while it's not beating up the enemy's little mans, so they've got some new display boards available to help out. Hello all, we just updated our website with a wide selection of custom display boards for your armies. Feel free to check it out! 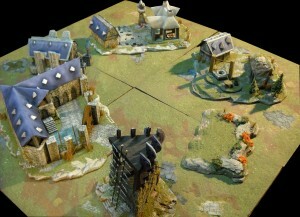 Dreamspirit Wargames reviews their modular terrain set. 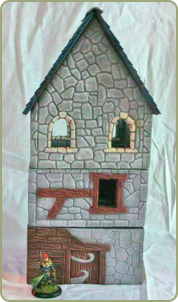 Hello, we are proud to announce new range of buildings-Fantasy Fiefdoms. These buildings are standardized, so the more you have, the more combinations you can get. 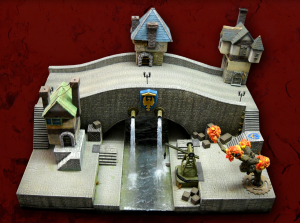 Fantasy Fiefdoms buildings are pre-painted and assembled with removable floors, and stories are interchangeable so that you can make different buildings every time you have a game. 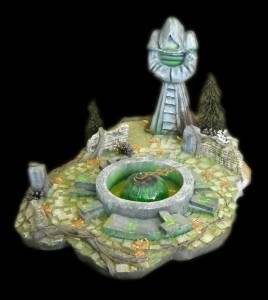 Dreamspirit Wargaming Studio have released their Chaos Temple terrain piece. They have posted a video preview of the terrain on YouTube. Dreamspirit Wargaming Studio have posted a video preview of their latest release - the 28mm Bridge of Victory terrain piece. 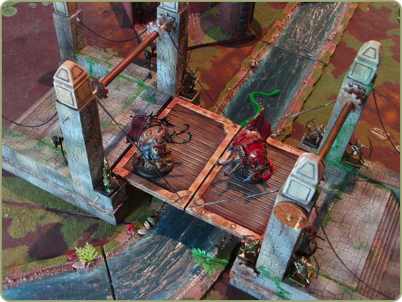 Dreamspirit Wargaming Studio have posted a video preview of their next terrain release - the Bridge of Victory. 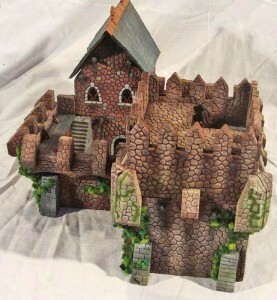 Dreamspirit Wargaming Studio have posted a video featuring their Ruined Guild House terrain piece. 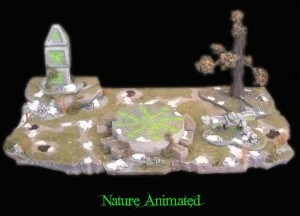 Dreamspirit Wargames Terrain Studio is offering a discount on their Illuminated Sacred Ground terrain piece. We are happy to announce that we are running a promotion period of three weeks starting on Monday the 23th of May on Illuminated Sacred Ground terrain piece. Each and every one is hand made by three artists from our studio, and we'll include the battery needed for the terrain piece as a gift.The promotion price for the terrain piece is 34.95 $US. Lighten up your battlefield.